I finally got this axe about a week ago and really love the way it plays... not realy happy with the pickups, but I was already planning to replace them anyway. 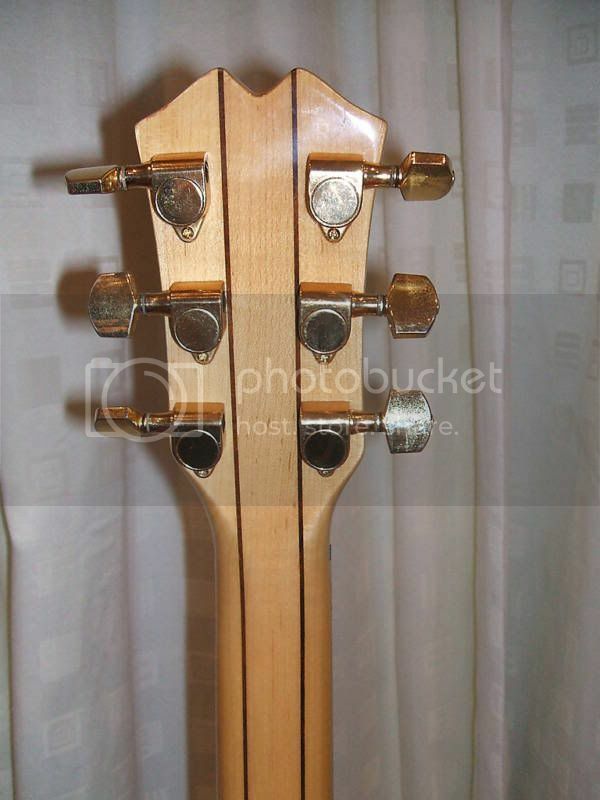 I've ordered a new pick up set and made an appt with my guitar tech to replace them along with all new pots, caps and wiring. Will post pics once I get it completed. 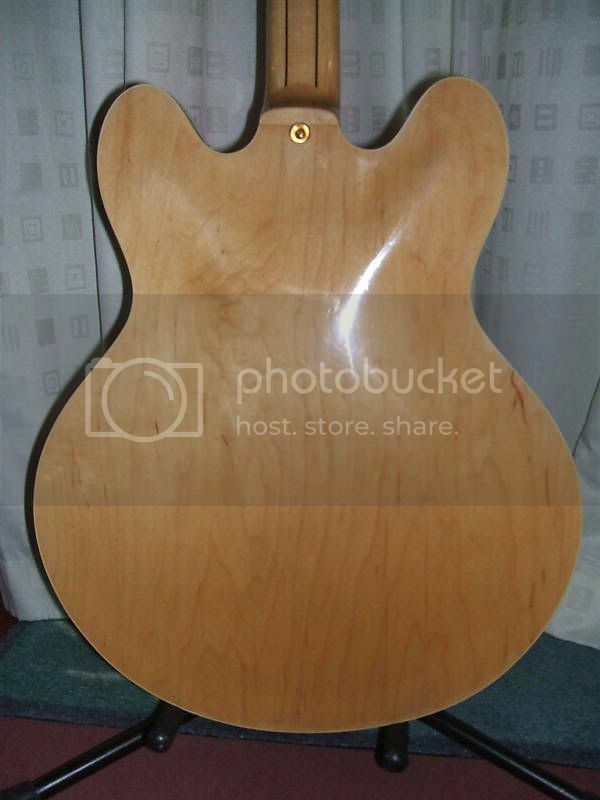 I've ordered a new pick up set and made an appt with my guitar tech to replace them along with all new pots, caps and wiring. come on man. We're junkies! you can't be that vague and expect us to be ok with it!! When I got mine, I couldn't believe the action and the comfort, neck, right arm...everything. Super easy guitar to play. Sounds like you're having a similar experience. I decided on a set of SD Pearly Gates for the neck and bridge, CTS 500K pots, bumblebee caps. 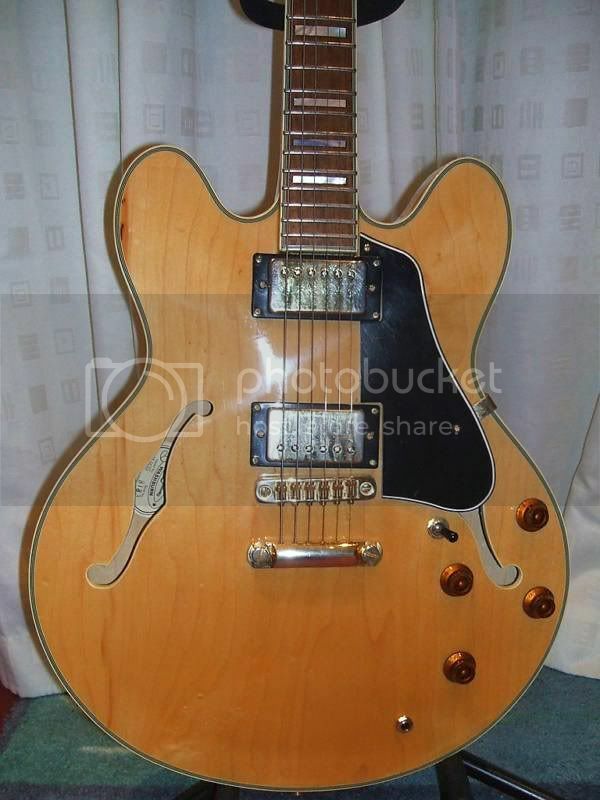 Also changing the pickup rings from black to white or cream (have ordered both and will see which looks better) and the knobs to gold speed knobs. The original pickup covers that came with the guitar are all scratched up and have lost all of their gold plating, so I am replaceing them with new ones as well. After all is said & done, I will have a top-notch axe for less than $800! I agree with you that it is a very comfortable guitar to play... the neck is slim, which I like for some songs but I'm not really used to it yet... I'm used to the chunky 50's style LP necks... the slim neck is growing on me though. I played it exclusively for the first week I had it, and really like it; however, as soon as I plugged in a LP, the difference in sound quality was obvious and the decision to swap out electronics was made. Nice choice! 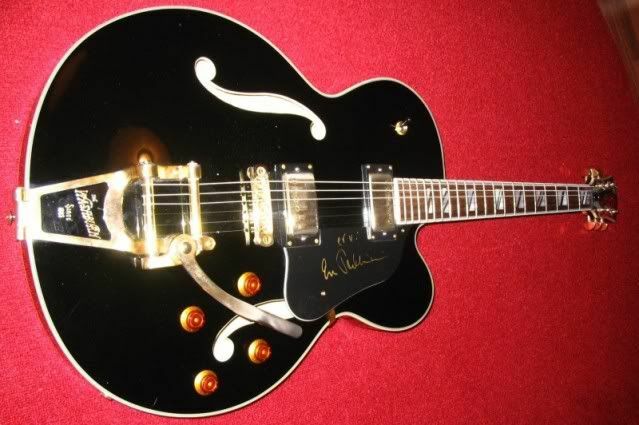 A pearly gates neck is the lead candidate for my replacement, to be paired with a 1982 SD JB-J. I'll be very interested to hear your take on such a hot set in an HB. For contrast, what do you have in the LP? My main LP has 57 classics in it, which I love. OK, now with the risk of reigniting an old debate (light blue wick paper and stand back). 2. 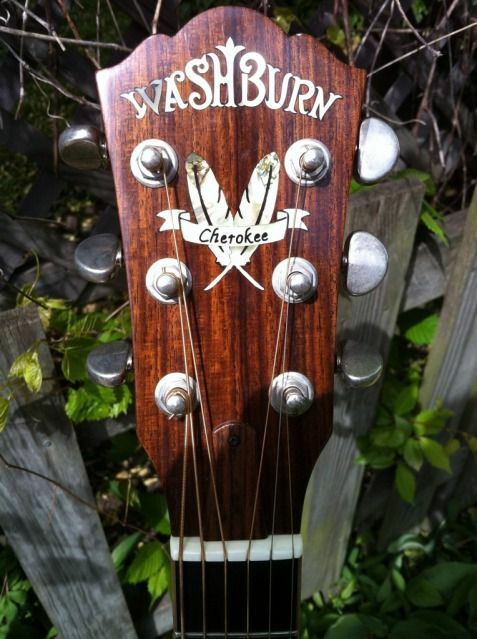 Dated by Washburn as 1981 manufacture. 3. Purchased by the person I bought it off in 1985. I'm not sure if it was new or second hand. I bought it fully knowing that it might not be an actually 1981 but was impressed by the condition and the vintage vibe. 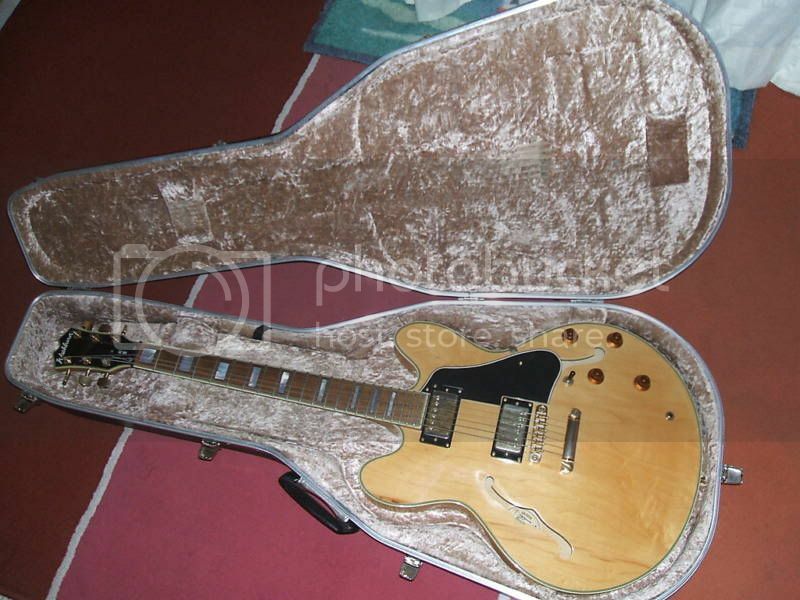 [8D]These are not my photos so when I get the guitar in my hand I might be able to shed more light on its origins. BTW the brown mark on the upper horn is the timber grain. I plan to upgrade the above guitar. As it won't arrive for a least a week I would like to get the parts on the way to be ready for when it arrives. 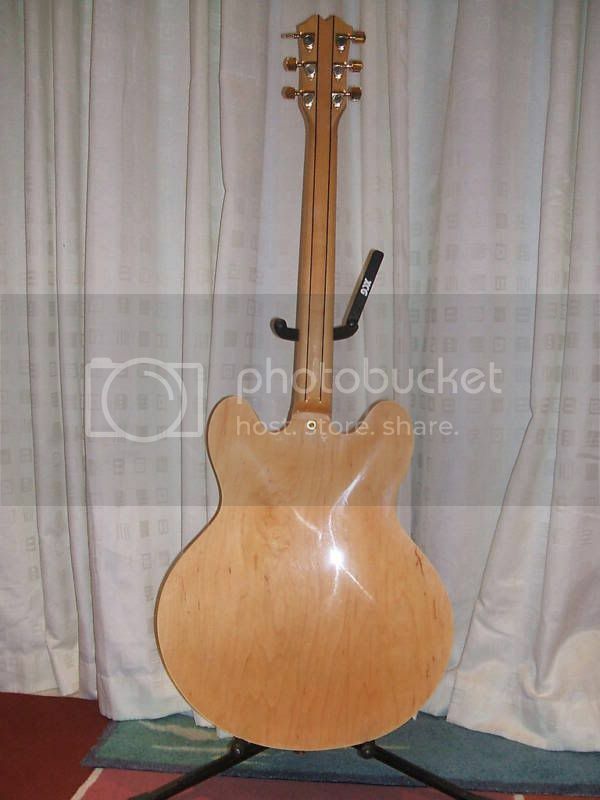 What is the thickness of the soundboard? Will I be able to fit standard CTS 500k pots through the F hole or will have have to go to mini pots? What type of pickup selector will fit ( CTS right angle, long or short straight shaft)? I will replace the stock pickup with a pair of SD '59s that are hanging around my workbench (that is until I can afford a pair of Bare Knuckle Stormy Mondays). Caps will probably be PIO (Vitamin Q or Jensens). Wire will be vintage braided. Given the level of construction it should sound pretty close to an early 60's 335.
as to the vintage....you've obviously read the threads. who the hell knows. Mine is 8148, with the exact fretboard, body stylings, peghead shape and veneer, BUT, you've got a 5 piece neck, solid strips from tip to body. Mine has a scarf joint, and is solid mahogany. Major difference. Only adds to the mystery. check this peghead shot. In researching for my upgrade, I was told standard pots would fit through the f-hole, and to go with the 90 degree selector switch, but I'm repeating council, not speaking from first hand experience. our man Cornish Boy put a link to a tutorial from your beloved bare knuckle forum. Keep us posted. I'm psyched to see the HB-35 getting some love on here from guys who are looking to PLAY. Here is a crappy cell phone pic of mine as I received it (less the pickguard)... will post some quality pics after the rebuild. Hi Tio. I noted that your guitar was closest to mine. The most interesting bit of information from the guy I bought it from was that he got it in 1985. He was very sure of this. On this basis yours would appear to be older than 1988. Intriguing point regarding the neck construction though. I could be wrong but I get the feeling that these models were not made in huge quantities. Considering the decade they were made I wouldn't have thought that there was a great demand for them so normal assumption regarding serial sequence and dates might not apply. Rocket, what I meant was that my recollection of the 80's was that the guitars in demand were high powered rock machines (Charvel, Ibanez etc). A resurgence of interest in Semi holows seemed to coincide with the influence of players such as Dave Grohl and the emergence of Indie and Brit pop bands. 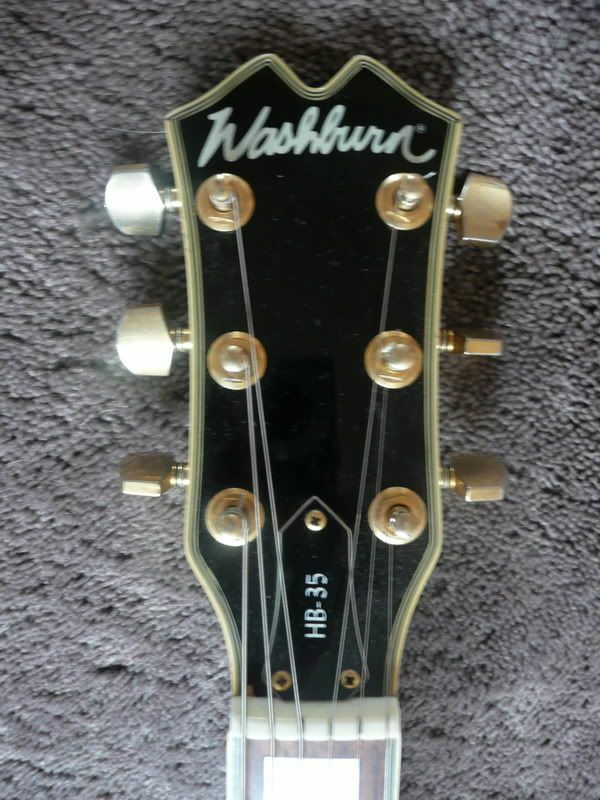 Of course I could be totally wrong but I imagine that Washburn, and indeed Gibson, is selling more of these style of guitars lately than they did in the 80's. Totally wrong... since 1959 the 335's have always been huge sellers. Every serious guitarist MUST have at least one in their lineup. Just can't get that Electro-Spanish (ES) sound without one. Like cheese... goes with everything! 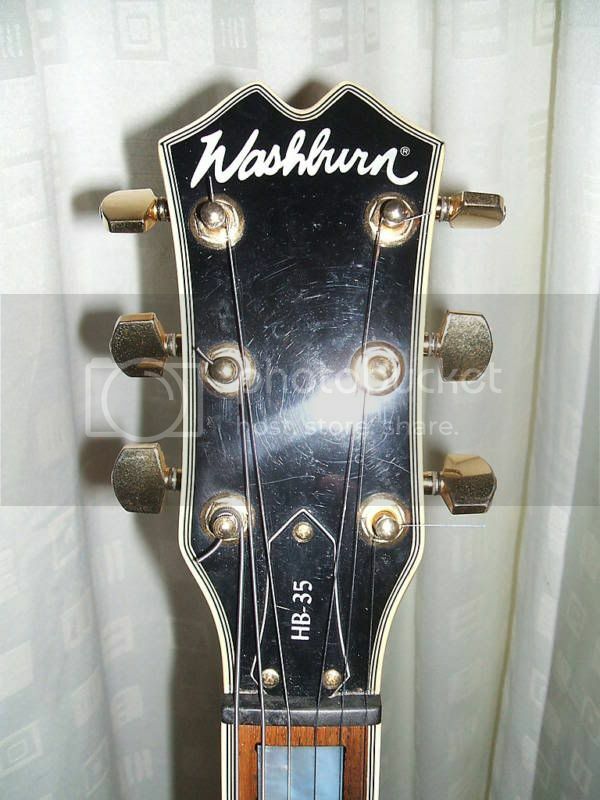 Sidenote: I'm surprised that Washburn never produced a Rockabilly 6120 style... something to think about Washburn. I was gigging in the late 70's and 80's and outside of Jazz you couldn't give them away. Metal and an ES? Cheese and ice cream! Good point. what exactly is distinct about the 6120? TV Jones' p'ups? I've become a fan of a guy here in Chicagoland that absolutely tears it up on a 6120, and a friend of mine got a 6120 jr, which is a shallow bodied 6120, as I understand it. I really like those guitars.